Our electronic locker has our own design, programme, and produced system, provides a more secure, convenient and digital storage solution, eliminate keys and simplify public storage service. Its self-service management function makes it institute for a front desk service, allows customers to enjoy conveniences, such as rental in public places paid by cash or credit card, special resistant cabinet for equipment/tooling rental, digital keycard dispenser system for hotels, RFID wristband lockers for rental in waterparks, etc. Multiple languages make it suitable for people from any countries. You provide requirements, we do design work, hardware and software work, you get the benefits! Customized solutions are welcome. 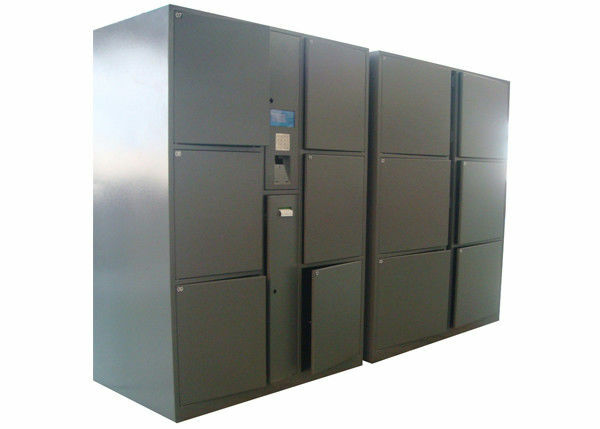 This CE FCC Approval Large Size Safe and Environmental Electronic Pincode/Password Lockers is designed for using in nearly all public places.